Congress is actively debating how to fix the FCC’s repeal of the net neutrality rules. But the first bills offered (H.R. 1101 (Walden), H.R. 1006 (Latta), and H.R. 1096 (McMorris Rodgers) focus narrowly on the “bright line” rules of no blocking, no throttling, and no paid prioritization. A major problem with this approach is that the public supported the 2015 Open Internet Order and a huge array of parties (with the exception of basically just AT&T, Comcast, and Verizon) supported Title II reclassification because of what else was protected. Privacy, competition, and public safety are all worse off when all you do is ban three basic tactics. Restoring the entirety of the 2015 Open Internet Order means protecting the vital components to keeping the Internet a free and open platform. If Congress decides to act, it should not shortchange the American public. Unfortunately, that appears to be where the House of Representatives is heading right now. 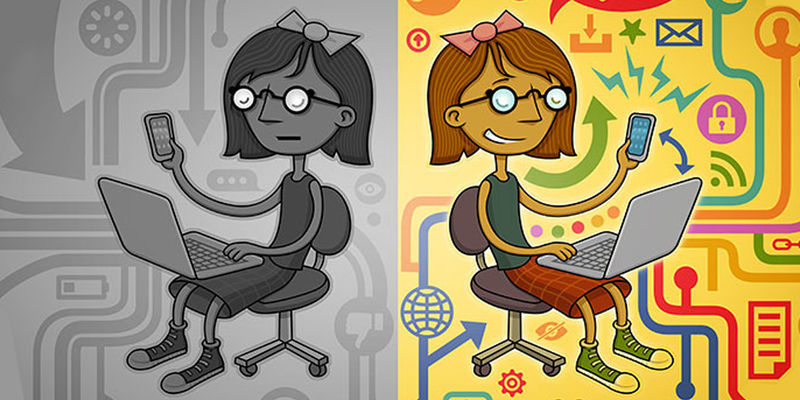 A straight ban on blocking, throttling and paid prioritization would leave out important limits on the practice of exempting certain traffic from data caps, also known as “zero rating.” This practice can be used to drive Internet users to the ISP’s own content or favored partners, squelching competition. A recent Epicenter.works multi-year study on zero-rating practices in the EU has found that countries that allow zero-rating plans have more expensive wireless services than countries that do not. It also found that when ISPs engage in zero-rating practices, only large companies are able to maintain the market relationships needed to be zero-rated. In addition, we already knew how zero rating can be used in anti-competitive ways and discriminates against low-income users, which is why EFF supported California’s ban on most harmful zero-rating practices. Ignoring the harms that anticompetitive zero rating does to net neutrality is essentially just doing the bidding of AT&T, which has regularly leveraged its data caps in an anticompetitive way. It is worth noting that the current administration is concerned that AT&T intends to use tactics like this to privilege Time Warner content over that of competitors. Antitrust law may be unsuited to address this problem. As we see more and more of these kinds of vertical mergers, we need rules on zero rating to protect consumers. While the 2015 Open Internet Order’s “general conduct rule” covering zero rating was too vague, a narrower alternative, like that in California’s net neutrality law, would ensure lower prices and keep ISPs from steering users to privileged websites and services. FCC staff had in fact found AT&T’s and Verizon’s zero rating practices to be in violation of the 2015 Order under the general conduct rule (which is not included in the three bills that have been introduced), but those investigations were terminated by FCC Chairman Ajit Pai before initiating the process to repeal net neutrality. When all broadband access companies were classified under Title II of the Communications Act, Section 222 of the Act gave users a legal right to privacy when we use broadband communications. It also imposed a duty on your ISP to protect your personal information. In light of major wireless and broadband companies’ creation of a black market for bounty hunters (and everyone else) to be able to purchase the physical location of any American, it’s really important to restore these privacy rights. Over 90 percent of Americans feel that they have lost control of their personal information when they use the Internet, so restoring ISP privacy rules should be a part of any new legislation. Congress made a huge mistake when it reversed and prohibited the widely supported FCC privacy rules that stemmed from the 2015 Open Internet Order. Congress still appears headed in the wrong direction on consumer privacy when it openly entertains preempting strong state privacy laws (such as Illinois’ BIPA and California’s CCPA) not just on behalf of big ISPs but also at the request of Google and Facebook. But should a new communications law come into focus, reinstating Section 222’s protections would yield a huge benefit to users. ISPs are the only entities that are able to track your entire Internet experience because you have to tell them where you want to go. Virtual private networks (VPNs) offer a partial fix at best. It makes little sense for Congress to ignore consumer privacy laws it already has on the books and not reapply them to broadband access companies once again. Dozens of small ISPs wrote the Federal Communications Commission (FCC) and asked them not to abandon the Open Internet Order because it provided a clear framework to address anticompetitive conduct by the largest players in the market (AT&T, Comcast, and Verizon). Specifically, being classified as a common carrier under Title II of the Act applied Section 251, which required ISPs to “interconnect” with other broadband providers and related market players in good faith. This prevents large players from leveraging their size to harm the competition. The dispute made most famous by comedian John Oliver was between Comcast and Netflix where Comcast demanded new payments from Netflix simply because they had leverage. Large ISPs regularly misrepresent the cost of providing access to video services from their competitors, but the estimated cost to Comcast was a fraction of a penny per hour of viewing HD video and dropping when they demanded new fees. Other disputes exist that are less in the public eye including two between Comcast and unknown edge providers that came to light in a court filing after the passage of California’s net neutrality law (SB 822). Ultimately what this boils down to is whether interconnection charges become a rent-seeking opportunity for big ISPs as they have in many parts of the world. The other pro-competition outcome of classifying broadband companies under Title II was the application of Section 224 of the Communications Act, otherwise known as “pole attachment rights.” Under the Open Internet Order, anyone selling broadband access was given a legal right to access infrastructure such as the poles outside your home that run wires. Given that the close to 60 to 80 percent of the cost of deploying a network can be attributed to local civil works like digging up the roads, equal access to infrastructure already built helps reduce the cost of market entry. Knowing this cost barrier, it should surprise no one that when an ISP owns the infrastructure it will categorically deny access to competitors much like AT&T did with Google Fiber. Today under the Restoring Internet Freedom Order, only telephone companies (like AT&T and Verizon) and cable television companies (like Comcast) have legal rights to infrastructure. New entrants that sell competitive broadband access, like Common Networks of Alameda, are forced to explore more difficult workarounds such as asking residents to offer a portion of their rooftops. Despite the fact that Verizon has admitted all fault for its throttling and upselling activities in California to firefighters during one of the worst fires in the state’s history, the FCC has done nothing to proactively address the problem. This is despite the problem remaining unresolved in Santa Clara County months after the fact. And that is because without its Title II authority under Section 201 and Section 202, the FCC can literally do nothing about Verizon’s conduct. Such an outcome raised serious questions at the D.C. Circuit’s oral arguments on the Restoring Internet Freedom Order as judges openly questioned the FCC’s wisdom in letting first responders navigate this field alone, despite the FCC’s legal duty to address public safety. As Santa Clara County’s attorney Danielle Goldstein pointed out during oral arguments, it is not rational to expect public safety entities to come to the FCC after an emergency occurs. Given the life and death matters involved, avoiding this issue carries extreme risks of recurrence in the future not because ISPs are bad actors, but because it is not their job to figure out the balancing act between their for-profit duties and less profitable needs of public safety. That has always been a government responsibility. There is more at stake in the battle for net neutrality than preventing ISPs from blocking, throttling, or engaging in paid prioritization. Bills that are limited to those three rules ignore the high-speed cable monopoly problem that tens of millions of Americans face, and how a lack of privacy protections harms broadband adoption. These bills miss the larger impact of the 2015 rules and ask the public, which overwhelmingly opposed the Restoring Internet Freedom Order, to accept only a fraction of its benefits. The public deserves better.